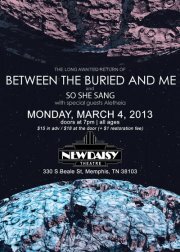 The North Carolina-based metal band Between The Buried And Me will kick-off the month at the New Daisy with special guests So She Sang and Aletheia as they continue to tour their most recent album, Paralax II:Future Sequence. Last time As I Lay Dying was here, it was a sell-out crowd, so you know they’re ready to throwdown again. 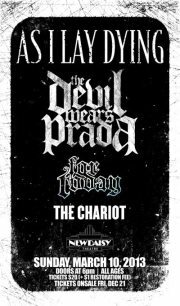 And this time, they decided to bring metalcore favorites The Devil Wears Prada along with them. 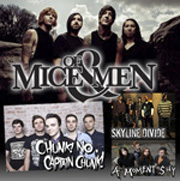 The metal madness in March continues with Southern California act Of Mice & Men as they prepare for their new album due out some time in mid-2013. 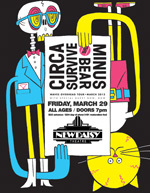 To finish off the stellar month, hard rockers Circa Survive and Minus The Bear are bringing their co-headlining “Waves Overhead” tour straight to the Bluff City. Those are the big ones, so this March, go out, see some shows, and enjoy!